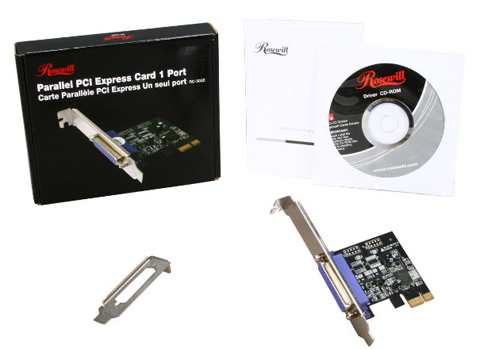 The Rosewill RC-302E is a PCI Express to Parallel Port card, letting you easily add one IEEE1284 Parallel port to your desktop computer via an available PCI Express slot on your PC. 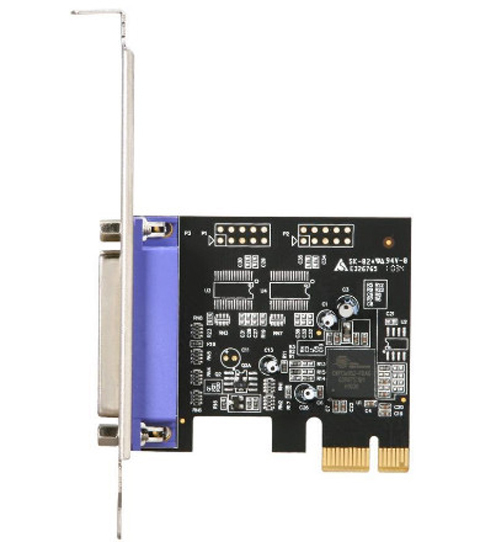 The PCI Express interface is compliant with PCI Express Base spec 1.1 and PCI Power Management 1.2. The Parallel Port supports Standard Parallel Port (SPP), Enhanced Parallel Port (EPP) and Enhanced Capability Port (ECP), providing maximum compatibility with your parallel peripherals, such as printer, scanners, zip drives, etc. Plus, the PCIe card has a standard mounting bracket, and also offers a half-height mounting bracket for easy installation in small cases.